Materials are used in conjunction with Mesh Renderers, Particle Systems and other rendering components used in Unity. They play an essential part in defining how your object is displayed. 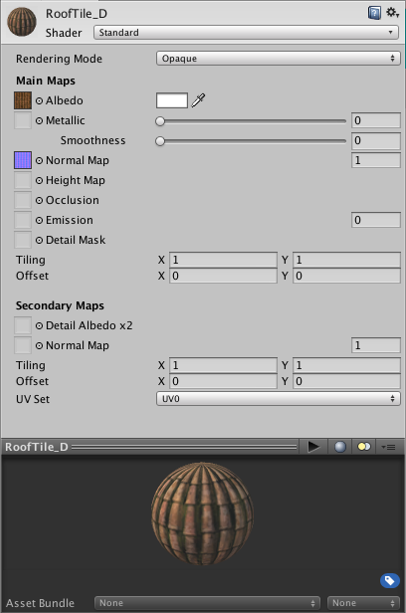 The properties that a Material’s inspector displays are determined by the Shader that the Material uses. A shader is a specialised kind of graphical program that determines how texture and lighting information are combined to generate the pixels of the rendered object onscreen. See the manual section about Shaders for in-depth information about how they are used in a Unity project.